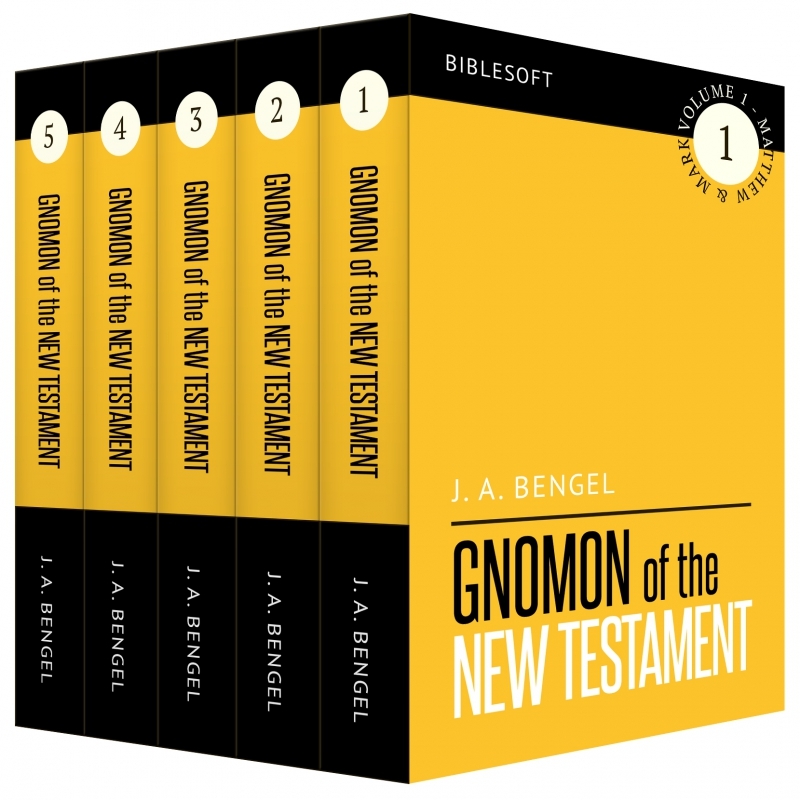 The Gnomon of the New Testament remains one of the most valued books to expositors of the New Testament. Using the Gnomon of the New Testament, in conjunction with the power of PC Study Bible, you can accomplish advanced textual work on the Greek New Testament quickly and accurately. Anyone interested in serious study of the Greek text will profit immensely from this work. "Import nothing into Scripture, but draw everything out of it, and overlook nothing." The result of twenty years of labor, Johann Albrecht Bengel's Gnomon (or index) of the New Testament was written to help the reader discover the original meaning for himself. Often regarded as the father of modern textual criticism, Bengel developed principles of hermeneutics (the method and techniques used to interpret written texts) still applied today. Bengel's NT commentary "is the Scholar's delight! Bengel condensed more matter into a line than can be extracted from pages of other writers." "I know of no commentator on the Bible equal to Bengel" and referred to him as "The great light of the Christian world." "a marvel of condensation and spiritual insight, must always remain a classic."